B & H Engineering, P.C. 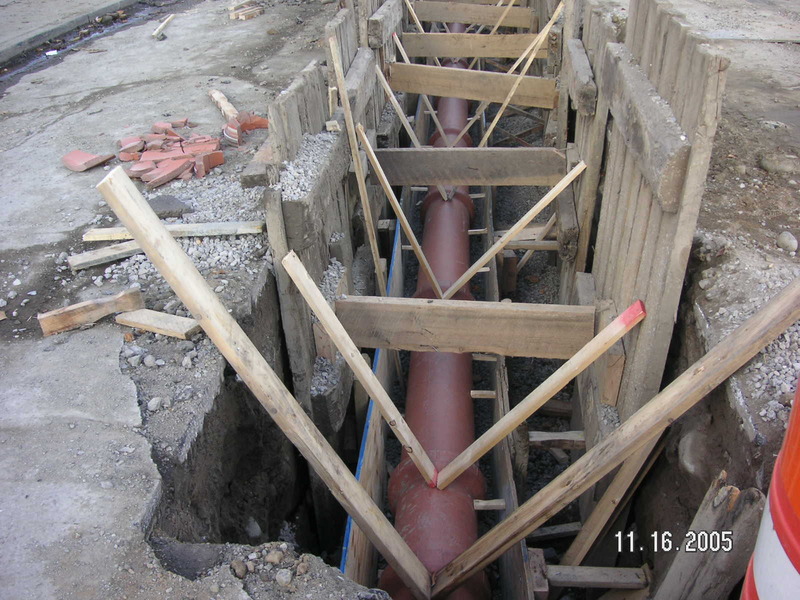 has provided construction inspection services, as a prime consultant, for Reconstruction of 153rd Street in Queens, New York City Department of Design and Construction. The project involved removal of existing 8 inch diameter water main and replace with 8 inch diameter DIP water main on Peck Avenue between Kissena Boulevard and 152nd Street, on 152nd Street and 153rd Street; remove and replace existing fire hydrants, install new catch basins and connections; replace existing 10 inches and 12 inches diameter sanitary sewer; install new 24 inches diameter reinforced concrete pipe, 12 inch diameter ESVP and 15 inch diameter ESVP storm sewer; remove and replace existing asphalt roadway and sub base (6 inch sub base material, 6 inch concrete base and 3 inch asphalt) remove and replace existing curb, sidewalks and pedestrian ramps; tree pruning, new sodding, pavement markings and traffic signs; pedestrian ramps and new street lighting (including new light poles).